Winter in Provo, UT, is surely a moment of fun for everyone. There're plenty of unique activities that are only available during the period such as ice skating, sledding, building snow forts, having snowball fights, winter hiking or even ice fishing. However, on the flipside, it can also prove to a time of the year that is irksome, and exasperating due to the buildup of snow and ice in our residential places, places of work, and even on our roads. Even though snow and ice create a superb and riveting winter backdrop, it can be a vexing thing in essence. This is because too much of anything is annoying; from trapping people in their homes, making it possible to move around, destruction of property to numerous accidents associated with the snow. This is why Provo Snow Removal is here to care. Since inception, we've strived and dedicated our efforts towards efficient and reliable snow removal services from both the residential and commercial spaces. We're committed to providing you with professional services every day. Currently, our firm has been catapulted at the top of the snow removal industry. Getting to the pinnacle of the domain has been facilitated by excellent and timely service delivery; we always ensure that we meet and exceed our customer’s expectation. In Utah, we command a huge following, and most of our clients are either repeat or referred customers. This is a clear testimony of our superior services. What separates us from others in the industry is ensuring that we consistently supply our clients with first-rate services, provide our services professionally, and promote and foster a spirit of friendliness, trust, and co-operation between our management, staff, as well as our clients. At Provo Snow Removal, we don't like to see our clients trapped in by the snow. We believe that everybody should be in a position to move freely, do anything, and conduct their daily routine, regardless of the weather conditions. Being snowbound should no longer be in your vocabulary, we are the experts in the industry. 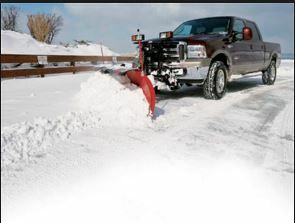 At Provo Snow Removal, we are dedicated to providing comprehensive winter solution and related services to our customers, and we endeavor to earn their loyalty and trust. It's time to stand up to the harsh winter. Do not allow the snow to take away the fun. We major in snow removal and simply know how to deal with it. We not only pride ourselves on having ultra-efficient and high-tech snow removal machinery but also boast of a team of highly skilled and experienced professionals who are well aware of the intricacies of the whole snow removal process. Our hearts and lives are here in Provo, UT, but the winters in this great and wonderful city can be extremely harsh, with the snowstorms blustering without giving notice. Whether you require a residential snow removal service, commercial snow removal service, any snow and ice management or consultation service, we are here to help you and enable you to transit through the arduous period smoothly.